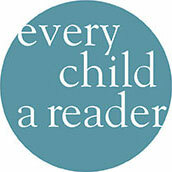 Every Child a Reader is a 501 (c)(3) dedicated to inspiring a love of reading in children and teens across America. Support Every Child a Reader and take a critical step in the promotion of a lifelong love of reading among children. We are a small but effective charity who reaches out to schools, libraries, and communities across America. Every little bit of support helps in furthering our mission and reaching children in all walks of life.